Paint a Pineapple LIVE 12:30pm Today! Edited to add the final painting from the live stream:) Have a great weekend and happy Easter! Howdy friends! I have to admit my practise painting for today’s live stream is a hot mess. That’s OK though because I know where I went wrong, and continued to go wrong until I had the equivalent of compound interest of wrongness on my paper. It is just as valuable to know what not to do as it is to know the steps to do it right. A smooth sea never made a skilled sailor, am I right? In the practise art I also used pastels and colored pencils, We may or may not need them in the live piece. Tomorrow is the last day to save 50% on my classes! 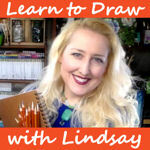 You can get Essential Tools & Techniques for Watercolor (Beginner), Texture Toolbox: Feathers & Fowl (Intermediate) or the NEW Learn the Draw with Lindsay beginner drawing class for 50% off (Regular $79, sale $39.50) use coupon code DRAWME if the discount doesn’t show up. Don’t wait! The 50% off coupon DRAWME is only good in my online school through tomorrow. You can purchase a class now (on sale) and take as long as you need to complete it as you have lifetime access, in fact I sometimes add new goodies to class and you will have access to that as well! Learn more or enroll today! I hope to see you live at 12:30pm eastern time for a fun pineapple painting, til then happy crafting! Painting Peaches! REal Time Watercolor Tutorial! Hi friends! Today I have a fun painting tutorial for you, a love bowl of peaches perfect for summer! Here is the reference photo I used courtesy of Graphicstock. Watch the video and paint along! 1″ oval Wash or any large brush for wetting the paper (Zen) *This kitThis kit would have all the brushes you would need and they are high quality. 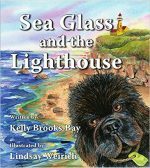 Follow along and have fun! Remember you can pause, slow down or speed up the video anytime you want. Click the gear icon at the bottom of the video player anytime you want to change the speed. 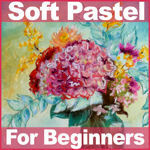 Want more painting instruction? 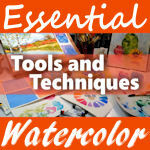 Check out my NEW Essential Watercolor Course. I hope you are having a great week and til next time happy crafting! I wanted to let you know that I won’t be able to do the live show tomorrow because I will on the trip but I did want to make sure you had something to work on so I have a watercolor leaf practice video for you. This is quick, if you have 10 or 15 minutes grab your paints and play! I hope you take a few minutes to paint today! If you are living somewhere where plants are in bloom and the weather is nice why not go outside and paint from life! It will build your observation skills like nothing else! If you feel like you want more in-depth watercolor instruction I invite you to check out my watercolor course Essential Tools and Techniques for Watercolor. 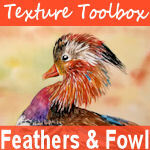 It has 5+ hours of video instruction on color mixing, texture effects, washes and three real-time paintings to complete. I am so grateful for the support and encouragement that I have received for the course so far, it has far exceeded my expectations and I am so grateful to find a place where I can take my time to teach all of the important techniques I think beginners should learn and practice. If you would like to learn more you can check out Essential Tools and Techniques for Watercolor here or enroll today! If anyone would like a tutorial for the other rose painting I showed in today;s video just let me know in the comments below and I will be happy to post it. I will have a live stream NEXT week:) Wish me luck on chaperoning the school trip and til next time happy crafting! Hi friends! I had so much fun painting this sweet sleepy baby fox. You can paint this too, I will even show you how to draw it! Feel free to pause the video if you want as you paint along, take as much time as you need. This was a really relaxing image to paint, I hope you enjoy it too. Watercolor paints in Yellow Ochre, Venetian Red (PR101), Olive/SAP Green, Ultramarine Blue, Permanent Rose (Sennelier La Petit Aquarelle-from the 24 1/2 pan set) *Review coming soon! I will be drawing a winner for the FabArt brush giveaway tomorrow (Thursday) and I will be drawing a winner for the Christmas Bundle on Friday so do be sure you pop over to those posts and leave a comment for a chance to win! Hi friends! Today I have a quick tutorial of flowers in a mason jar and a review of White Nights watercolors! You can find the White Night Watercolor from Pro Art Supplies on Etsy OR Ebay. Here s a link to the exact paints set and palette I used. The sets come in cardboard or wooden boxes or in a plastic palette. Sets come in 12, 24 or 36 whole pans. There are over 50 colors in the range and you can also buy the pans individually (for about $3.50) which is a nice option if you just want to try a couple of colors or if you use up ones in your set. Bottom line: I really like these paints and about 15 years ago I bought a set of Yarka St. Petersburg paints that I also loved and I recently found out that both White Nights and Yarka are trade names for the same paint. The reason for this is the Russian manufacture name is difficult for most to pronounce so they changed the name for American and European markets. Let me know what you think of these paints if you have used them and then people can get more views on these in the comments below. As always I as not paid to review these paints but I was provided with a set for free for the review. Thanks for stopping by and til next time happy crafting! Watercolor Gourds REAL Time Tutorial! Hi friends! 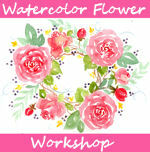 Are you ready for a long watercolor painting lesson? Let’s paint gourds! You only need 4 colors: A warm red (cad red, scarlet, vermilion) a warm yellow (cad yellow, new gamboge, indian yellow) prussian blue and sap green. Watch the video to see how easy it is! I am using Neo watercolors from Kusakabe, use the coupon code thefrugalcrafter if you want to order any to save 10%. As I mentioned in the video I would recommend just buying the colors you would use (check for tried and true pigments) rather than the sets. Bottom line the Neo watercolors are OK but honestly I think you can get more for your money getting the Holbein watercolors on Amazon or the Turner watercolors at Jerrys. Both are a higher quality paint at a lower price. Now, don’t get me wrong, painting with these watercolors was fine. I am concerned with a few of the pigments in them (PY1, BV10, PR83) and some tubes of paints say “not listed” under pigment info, I don’t think that is acceptable when you are buying artist quality paint. I wanted to love these watercolor because I love their Aqyla line of water mixable alkyd paints and found them a great value using lightfast and tried and true pigments but the watercolor did not deliver in my opinion. Disclaimer: This is not a sponsored video but I did receive the paint for free for review purposes. I hope you try painting gourds and pumpkins using whatever watercolors you have and til next time happy crafting! LIVE! Teacup With Grapes Watercolor 12:30pm ET Today! Hi friends! I’ll be back with a free live watercolor painting lesson at 12:30pm Eastern Time today on YouTube! We will paint a teacup with grapes from this amazing photo by Lillian Bell at Paint my Photo! We are only using 4 colours in this painting, feel free to substitute with the closest you have: New Gamboge (warm yellow), Napthol Red (neutral red), Burnt Sienna (warm brown) and Ultramarine Blue (warm blue.) 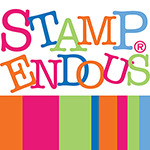 In the swatch below you can see some of the mixes we can achieve from these colors. You can catch the live show or the replay in the player below but if you want to chat and ask questions be sure to watch on YouTube. Reference photo by Lillian Bell at Paint my Photo. SALE! 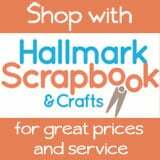 All classes under $20 this weekend at Craftsy! 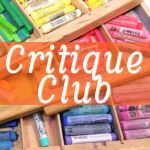 Pick up a great class while helping support the free tutorials on my blog and YouTube channel! It is a great chance to get a jump-start on holiday crafting too, check out their painting, drawing, quilting, papercrafts and sewing classes. Speaking of holidays you can even give a class as a gift! There is so much to offer and it’s all on sale through Sunday! Here is an even better deal! Enroll in my Craftsy Class at 50% off, here is a peek at one of the 3 paintings you will learn! 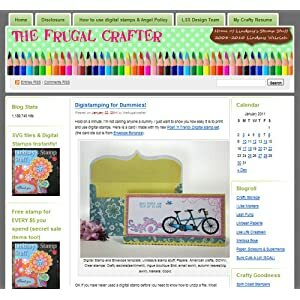 Remember any Craftsy class you buy after clicking my link helps financially support my channel and enables me to share free tutorials with you daily. I hope to see you at 12:30pm Eastern Time today for this fun and free live painting class! Til then happy crafting!